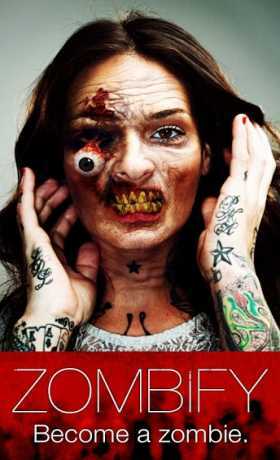 Zombify – Give yourself a ZOMBIE face that moves, bites, and more! 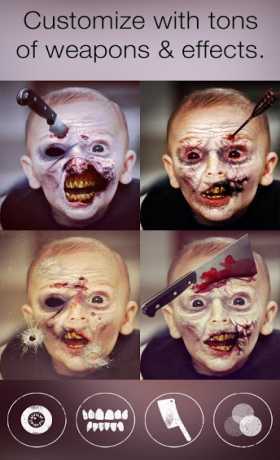 Zombify is the zombie face booth that will transform you into a biting, groaning, brain-eating zombie! It’s undead augmented reality… for your FACE! – Add creepy creatures to your corpses… Snakes, roaches, maggots… oh my! – Use “Infections” to unlock special effects and weapons. – Use a flamethrower on your zombies! Electrocute them, blast them with a shotgun, get them eaten by monster piranhas… then export the videos! The Dead. Walkers. Biters. Geeks. Roamers. Lame brains. Lurkers. Zekes. Whatever you call ‘em, you’re about to be one. Follow the spread of the zombie virus on Instagram at @apptly and share your SCARIEST creations using #zombify.